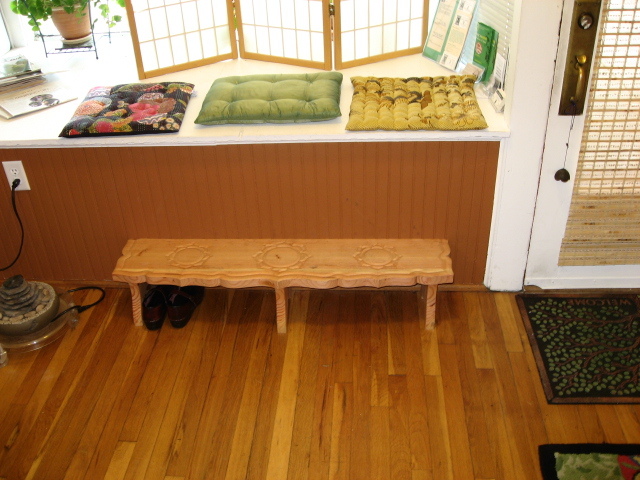 A local wellness clinic (link here) was looking to make more efficient use of the space and wanted to use the display area at the front of the shop as a bench, so I constructed the step which you see above. 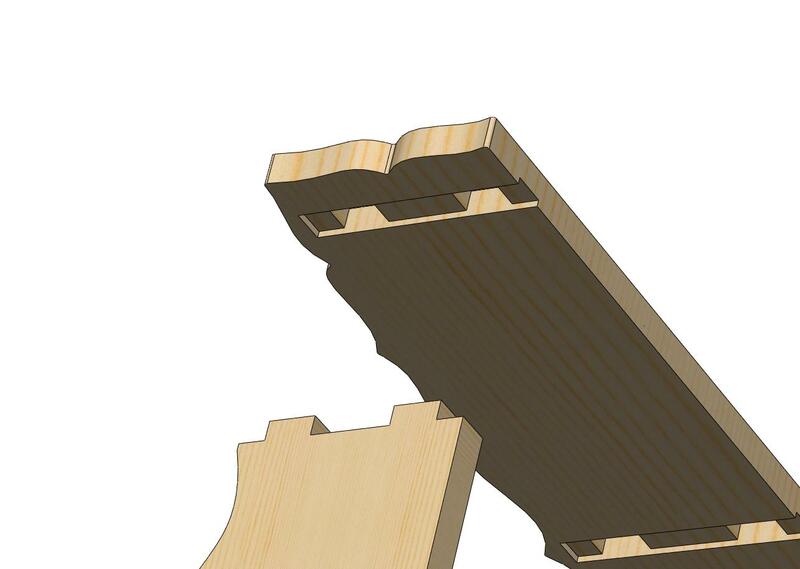 Here is a detail of the mortise and tenon joint which joins the legs to the top. 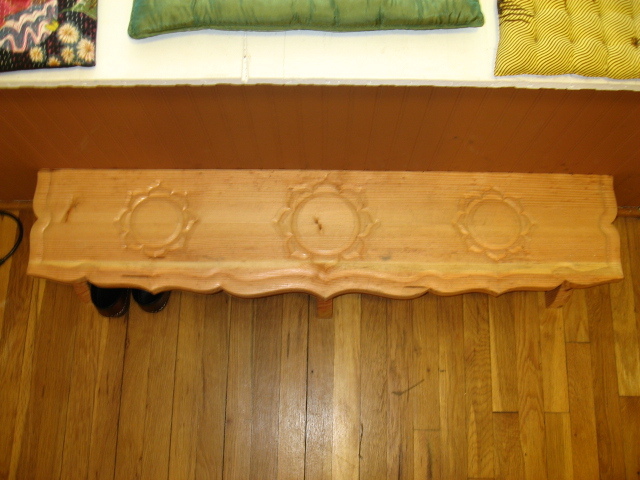 I carved a stylized lotus flower design into the top. 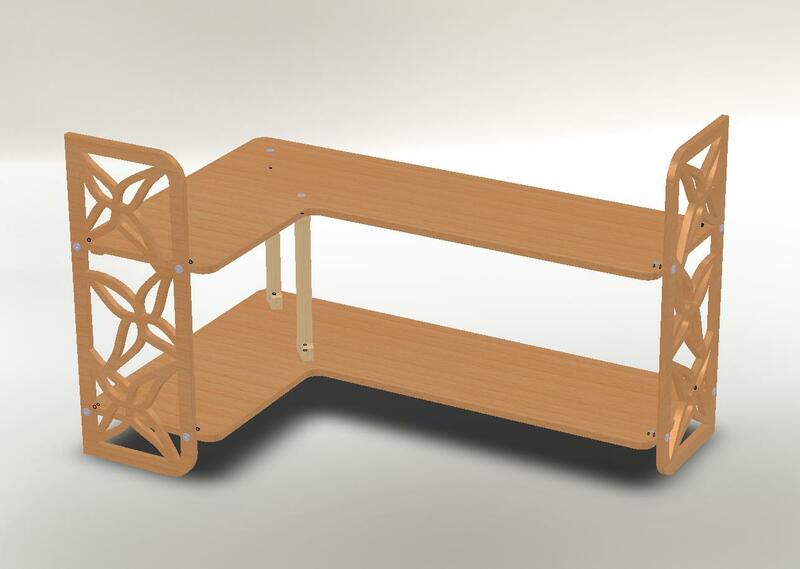 Here’s a corner shelf unit I recently designed and built as it looks in Solidworks, the CAD software I use. Here is the exploded view. It shows where all the fasteners go, and it’s just kind of fun to see all that stuff hanging in space. 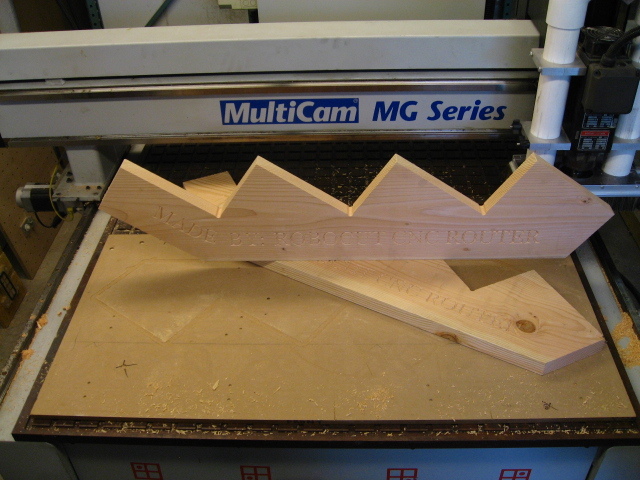 Here are some of the parts being cut on the router. Here it is installed! Thanks for looking! Test cut of a texture pattern Some tearout is visible if you blow the picture up (the bit has been sent out for sharpening), but this is an interesting effect. 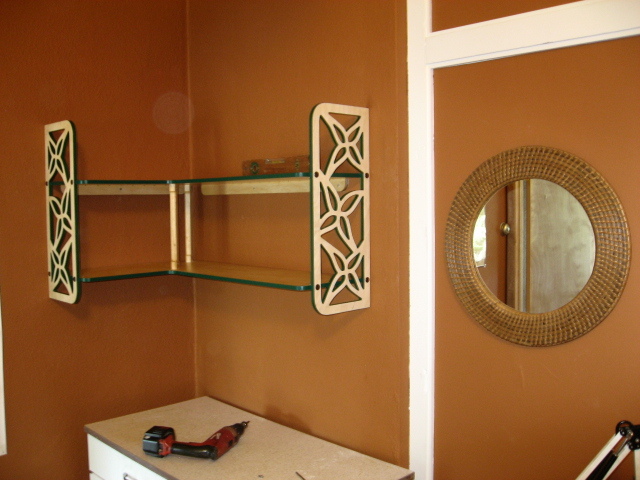 Samples to show to a builder/remodeler I’m talking to tomorrow. It could be a little challenging to explain CNC and how it can build his business, but I’ll give it a try. Anybody who’s cut these on a jobsite knows how tough it can be to get them identical. 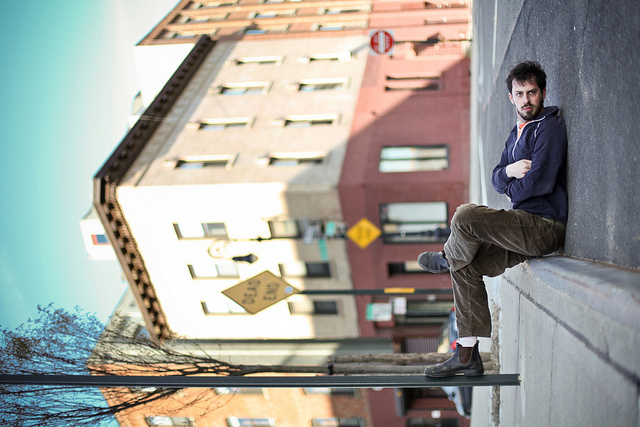 To characterize Andy Baker (aka “The Kontraptionist”) as “insanely great” might be a bit of and understatement. He and his small band of highly intelligent misfit henchmen swat off rats in a cramped shop located in a seedy part of Brooklyn and build stuff that’s absolutely brilliant. Andy’s blog is a frequent source of amusement and inspiration. His shop does full service design/build for artists, galleries, individuals, and industry. 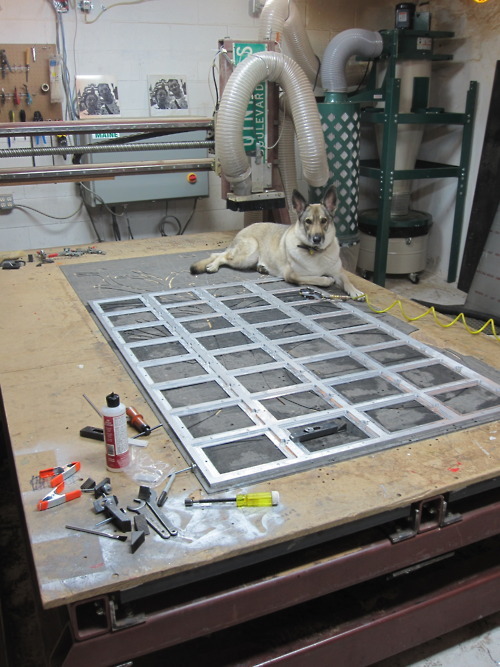 Here’s a picture of his shop dog “Bandit” relaxing on the table of the CNC router which he designed in Solidworks and built himself. That’s a nice small cyclone dust collector in the back with a full six inch duct right to the cutting area. The piece of metal on the table with all the square holes in it is what’s left after making parts for a large ipad charging station. 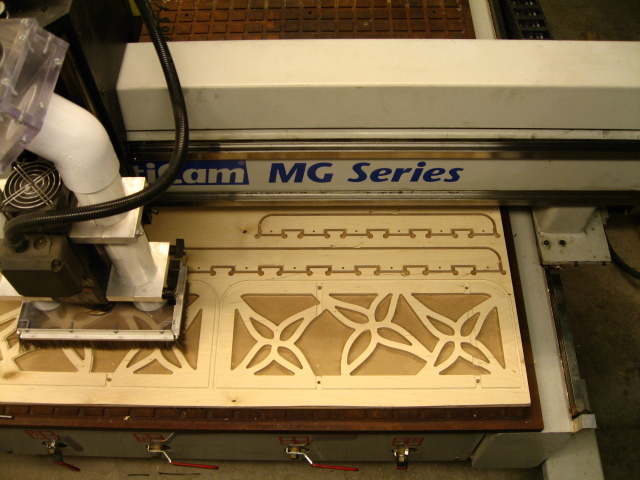 My router has comparable aluminum cutting capabilities. 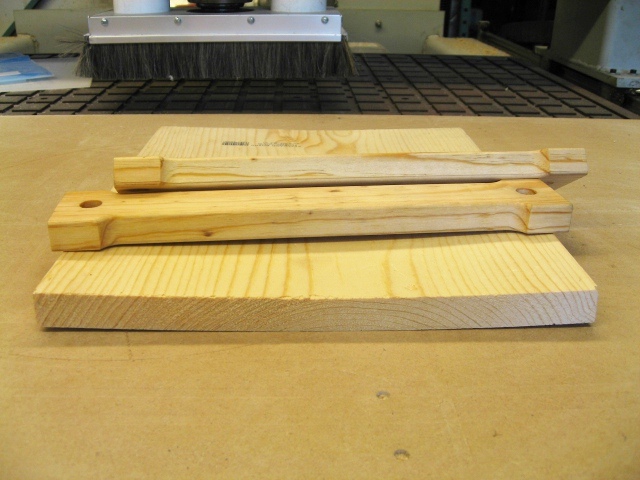 Here are a couple of parts made from plain old pine from a big box store. The board they were cut from looked a lot like the curly board they are resting on. The beauty of having a brutally powerful vacuum pump is that I can pull a board like that flat and make good parts out of it. Here’s a closeup. These parts are straight off the machine, no sanding has been done. 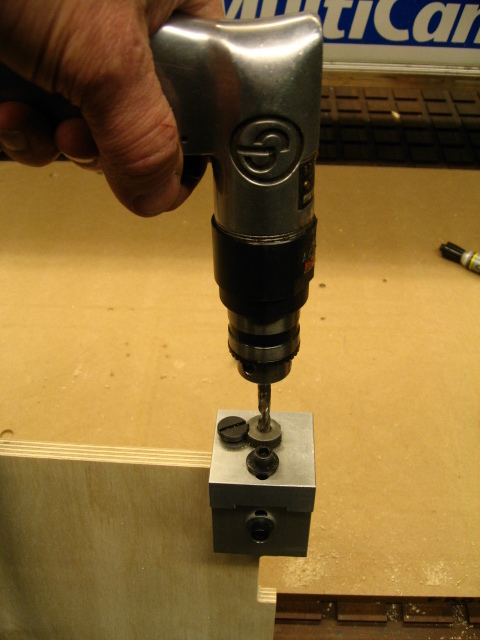 Chipping and cracking on the corners and tearout on the holes has been prevented by picking the right bits, keeping them wicked sharp, and clever programming. 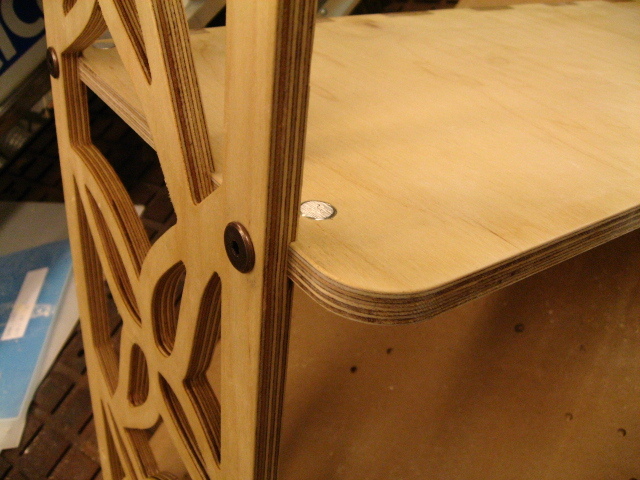 The holes in the ends were drilled with the cross dowel drill fixture. 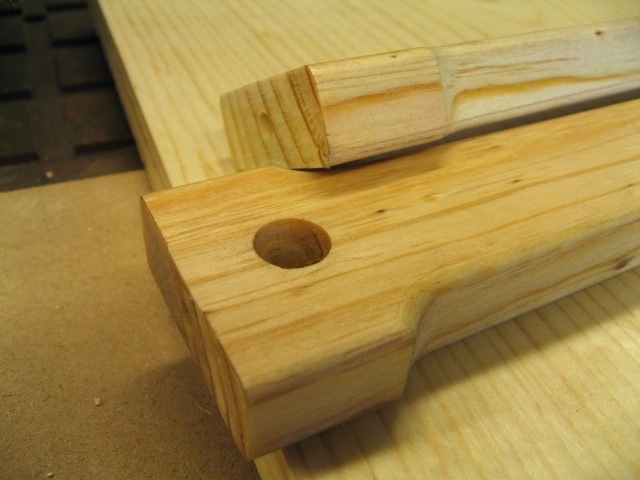 On the left is a cross dowel installed, with a screw threaded into it. 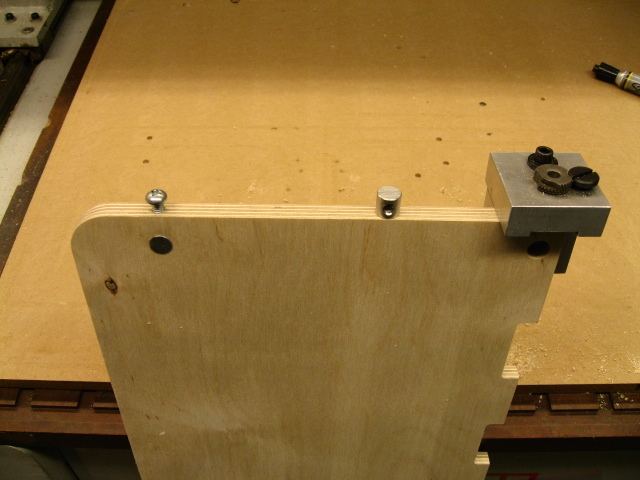 In the middle is an uninstalled cross dowel, and on the right is the drill fixture I built to drill the holes in the edge of the part which the screw goes though on the way to the cross dowel. Here is the hole being drilled. 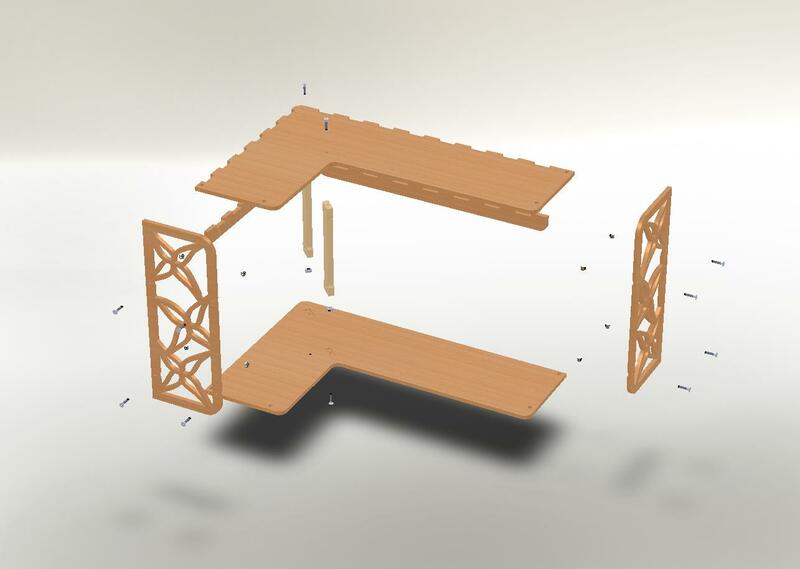 Here is the joint assembled. Sill more finishing to do on the Baltic birch parts being joined.